Red Mountain Supermarket open for business—once you get in | Where to next? Everyone who follows this blog must have an inkling that I’m a sucker for local supermarkets, farmers’ markets, fresh produce, spices and such. 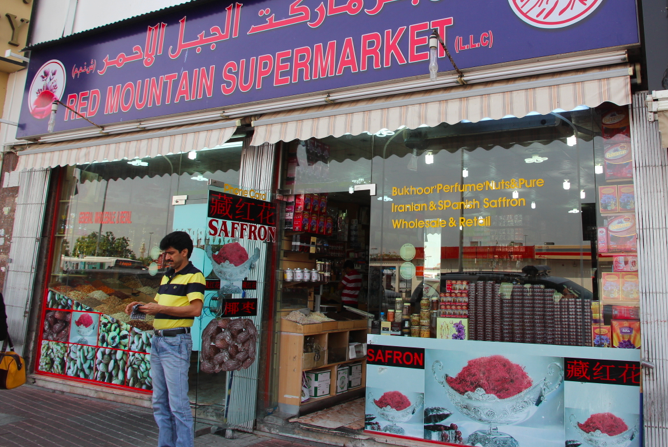 So yesterday when we passed the Red Mountain Supermarket in Dubai—with windows full of temptation—I simply had to go in. Poor John is a good sport about these side trips, and even points out likely targets. We had to wait a while to get in. There were five or six customers blocking the entrance and no amount of ahem-ing on our part was going to get them to budge. They were having a chat (actually a rather long discussion) on who knows what. A couple of customers stranded outside was of no concern to them. But finally they moved on—and we moved in. Oh my, what a wonderland for me. 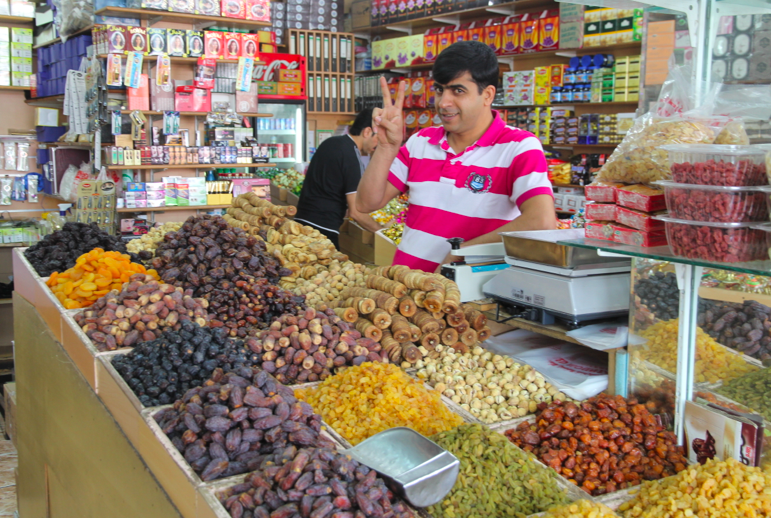 Nuts, spices, dried fruits, lollies, colourful packaging, and not a grocery to be found. You know what I mean—no processed food, no milk, no baby goods, no kitchenwares. So I thought you liked to see a bit of what we saw and meet some of the staff. They were friendly, helpful and quite happy to have their photos taken. In all these beautiful countries there are just lots of ordinary people. So why, oh why is there so much anger and death in these same countries? Oh, wow! What a treasure trove of edible goodies. Did you buy anything? It really was a treasure trove. We bought a few nuts. There was so much choice and we were flying out the next day, so it’s smart not to be carrying too much food.